Weekly silent meditation will continue on Tuesdays throughout January. 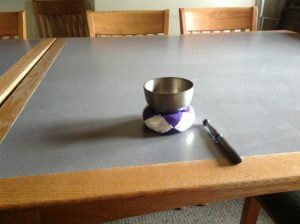 Meditation on January 16 will be held in Eliot 419 (below), and on January 23 & 30 in Eliot chapel. This entry was posted in Uncategorized and tagged schedule on December 6, 2017 by alan. Weekly silent meditation will continue on Tuesdays this semester from August through December 2017 in the Eliot chapel. Sessions run from 12:10-12:40 pm and are open to all members of the Reed community and campus visitors. Drop-ins* are welcome! Learn more at Our Schedule and Our Practice. * “Drop-in” means you can arrive and leave whenever it is convenient for you. Late arrivals and early departures are both fine. We do not take attendance. This entry was posted in Uncategorized and tagged schedule on August 22, 2017 by alan. Apologies for the last-minute change, but the College is sponsoring a Support & Solidarity Rally today, 12-1, in the Library foyer. Because that event begins almost at the same time as ours, I’m delaying the start (and end) of sitting meditation by 5 minutes. So our first three bells will ring at 12:15 and final bells at 12:45. Go to the Rally if you wish. Drop in at meditation when you can. There’s time for both (maybe). This entry was posted in Uncategorized and tagged schedule on January 31, 2017 by alan. We will continue meeting on Thursdays in April, but May will be a month of transition with a mix of Thursday meetings early in the month giving way to Tuesday meetings later in the month. The last Thursday meeting will be May 12, and the first Tuesday meeting will be May 10 (note: this is Finals week so it seemed like two meetings might be a good idea!). June, July, and August meetings will all fall on Tuesdays except when I’m traveling (a common summer occurrence). A complete list of meeting dates can be found on Our Schedule. If you use Google calendar, ask me to share the Reed Meditation calendar with you. This entry was posted in Uncategorized and tagged schedule on April 7, 2016 by alan. What a lovely time we had at noon today. Seven of us seated at various spot in the Eliot Chapel, some wearing coats to ward off the chill, some made hot by the crackling radiators, all silent, still, together, sharing. Thursday will be our regular meeting day most weeks this semester. This entry was posted in Uncategorized and tagged schedule on January 7, 2016 by alan. Wednesday will be the regular silent meditation day for Fall 2015. Our first Wednesday session will be September 2. You can supply your body, your thoughts, your energy, your distracted self. This entry was posted in Uncategorized and tagged schedule on August 26, 2015 by alan. This entry was posted in Uncategorized and tagged schedule, walking on January 13, 2015 by alan.